FIELD COIL SPEAKERS " DEER "
Field coil speakers are speakers that use electromagnets on the magnetic circuit of the diaphragm. 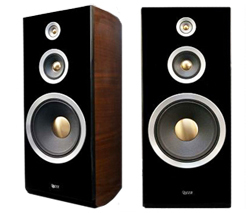 Speakers were first released into the market in the 1920’s, until the 1960’s, most speakers were built using this system, after the invention of permanent magnets, manufacturers switched their method to permanent magnet system. This is because the permanent magnet does not require a dedicated power supply, meaning the manufacturing costs are low. Although they are not commercially made nowadays, they are still very popular amongst the audio freaks and the vintage speakers are traded at high prices. 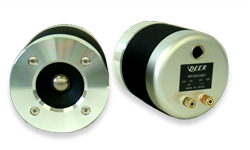 When you hear the sound through a field coil speaker, it sounds very different from a permanent magnet speaker system. Also by changing the voltage on the field coil speaker, it is possible to cause a change in the sound quality. Comparing with the electro magnet system, it has a unique individuality, DEER thinks that there always will be audio freaks who require the field coil speakers. DEER is prepared to bring together the unique technology that they have gained in the years of operating as a speaker system manufacturer, to produce high quality field coil speakers at a reasonable price for the audio freaks. The sound quality is based on High Fidelity sound creation. They are also particular about creating sound without deformation, to bring a smooth and high quality sound effect that you can listen to for long hours, they also place value on recreating the punchy power of the bass and the sound of piano as faithfully as possible. DEER Field excitation speaker series have passed these values that they have set.